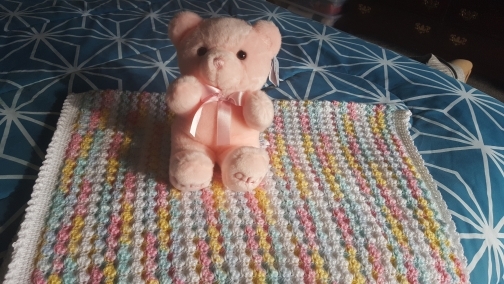 Beautiful crocheted by hand baby afghan in gender neutral colors. Multi colored. 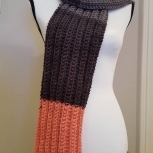 Crocheted in baby soft yarn. 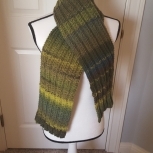 100% Acrylic Yarn used and fully washable in delicate and cold cycle. This is the perfect gift for a babyshower. Pink teddy is included. 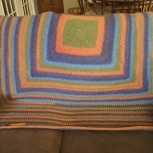 I. will make this blanket in scallop pattern upon request in solid blue or pink or other colors.